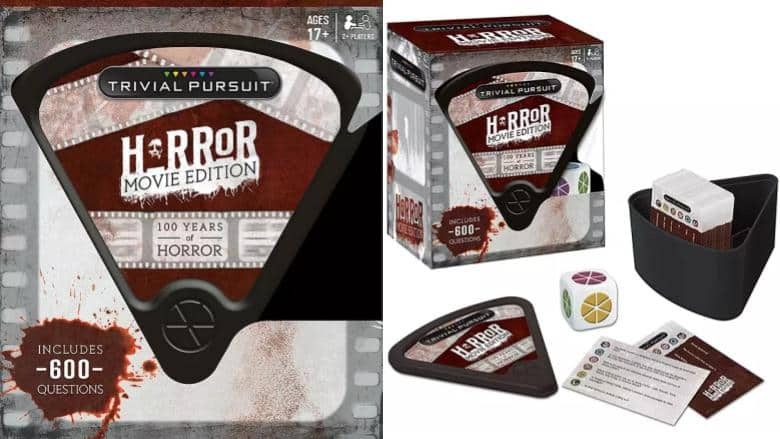 Trivial Pursuit Horror Movie Edition Available Now | Nerd Much? 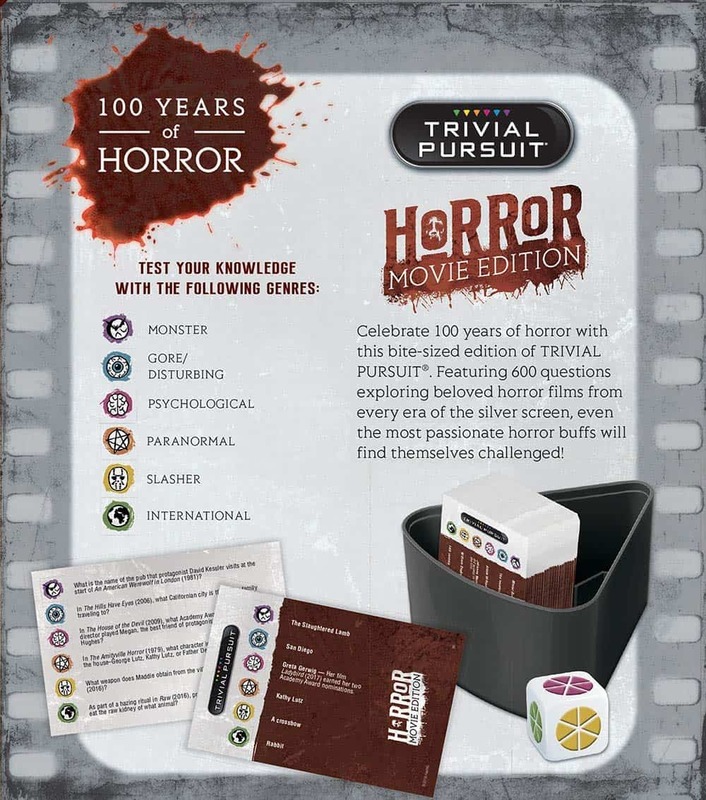 If you’re looking for something to spice up your Halloween party, take a crack at this horror movie Trivial Pursuit edition with 600 questions spanning a 100 years of horror in films. Together with your friends, you can reminisce about Nosferatu and how the creators made filming in German expressionism look easy. In other words, brag about how many black and white movies you watched before they were cool and not at all for that one film class you took at university. The categories in this horror movie edition of Trivial Pursuit include Monster, Gore/Disturbing, Psychological, Paranormal, Slasher, and International. These categories might sound easy, but as this game spans 100 years, it won’t just be the Blair Witch Project and The Ring you’ll be quizzed on. 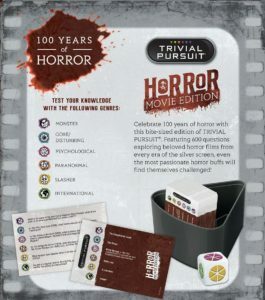 In fact, Trivial Pursuit claims that this game will challenge “even the most passionate horror buffs.” As such, be sure to brush up on your horror film knowledge so you can really wow your guests. For those who have played a Trivial Pursuit game before, you know that the creators pick out the oddest details of a given subject. For example, the pub in An American Werewolf In London or cities traveled to in The Hills Have Eyes. Granted, at least they are very famous movies, but even after the fifth viewing, you might not be aware of such details. If it wasn’t already obvious, please keep in mind that this edition of Trivial Pursuit is rated 17+; the films discussed in this game are generally rated 17+, and if not, Trivial Pursuit erred on the side of caution with a higher rating. You can purchase Trivial Pursuit’s Horror Movie Edition on Amazon. The game is $19.99 USD and sure to go fast with the Halloween season approaching, so get your copy now!